Today I’m pretty excited to share the best fitness apps for android 2016 which will help you along the way when you taking care about your fitness. Fitness is the most crucial thing that one should take in order to look stunning among your age groups! Having a fit body infrastructure and sound mind will help you in achieving the great feet. If you adopt technology, it will lend its hand for your overall success. 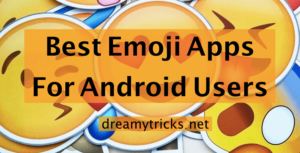 Owing the best android phone is not a great deal, the only thing that matters is how you’re going to make use of it in your day-to-day life. 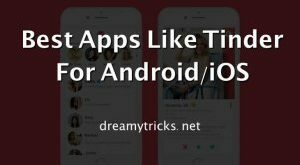 Android apps are heaven to boost productivity and make use of your leisure when you often use it in a legible way. 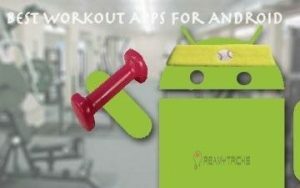 It is essential to use the best workout apps for android to look after all your fitness and workouts related information and keep a track on them. Hope you got the point, let me start with the list of best android fitness apps 2016. Recently, we have also shared method to root android without pc/computer 2016. With these best workout apps for android, you can keep an eye on your overall fitness records. Better you proceed today and install them on your smartphone, and start your fitness therapy today! Endomondo is best user friendly app that help you in many ways. Endomondo app will help you in getting your Run or Walk or cycling or even marathon tracked with distance covered and time taken. Another feature which impressed me is its audio coach, it will motivate you in your fitness works without getting bored or tired. You can enter the Workouts to this app to keep an record of all your excercise and physical workouts. Looking for some free music downloading apps? Install these music download app. Are you bored with your stock (default) music player? Check these best music player for android. Looking for some cool android lock screen? Check out these android lock screen apps. #2. Instant Heart Rate ! Yes, one of my favorite and best fitness app for android that is helpful for cardiac patience who are looking for fitness apps. Instant heart rate is great app that measures your heart beat rate and records it and you can keep your old heart beat records to look after any changes in your health. But How it works? I’ll say you, Just press and hold your finger (Index finger) in the camera of your smartphone while heart beat is opened. It detects the color of your skin which related to your pulse rate, then this app will check your heart beat rate. I recommend this is Best fitness app for android 2016. #3. 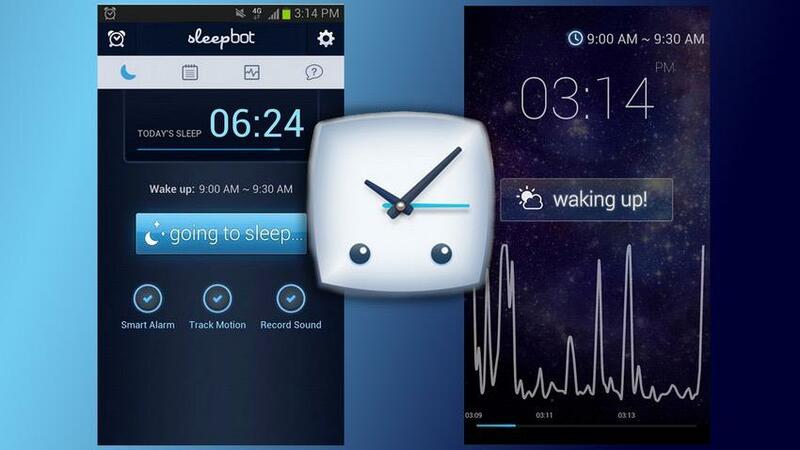 SleepBot – Make you to Sleep Well! Sleeping is the best way by which you can give rest for your brain and body after your works. It essential for each individual to sleep well to maintain your fitness graph constant. Here is the best android fitness app that take record of your overall sleeping activity, another great feature that you need to know about the Sleepbot is it provide the guideline for better sleep and get refreshed after you wake up. You can set alarms as per your choice when you need to wake up, it takes log of each and every activity to maintain your fitness level higher. I say is the best fitness app for android that you need to install right now in your smartphone. Calorie Counter is another great app when it come for best Android fitness apps. 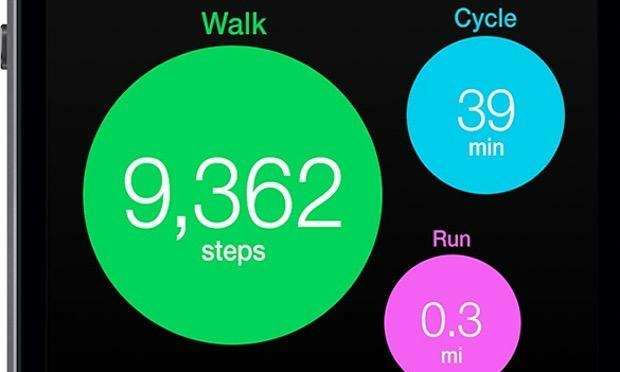 It calculates the amount of calorie that you’ll be benefited if you eat certain food items. There were millions os food products that have listed in their database. 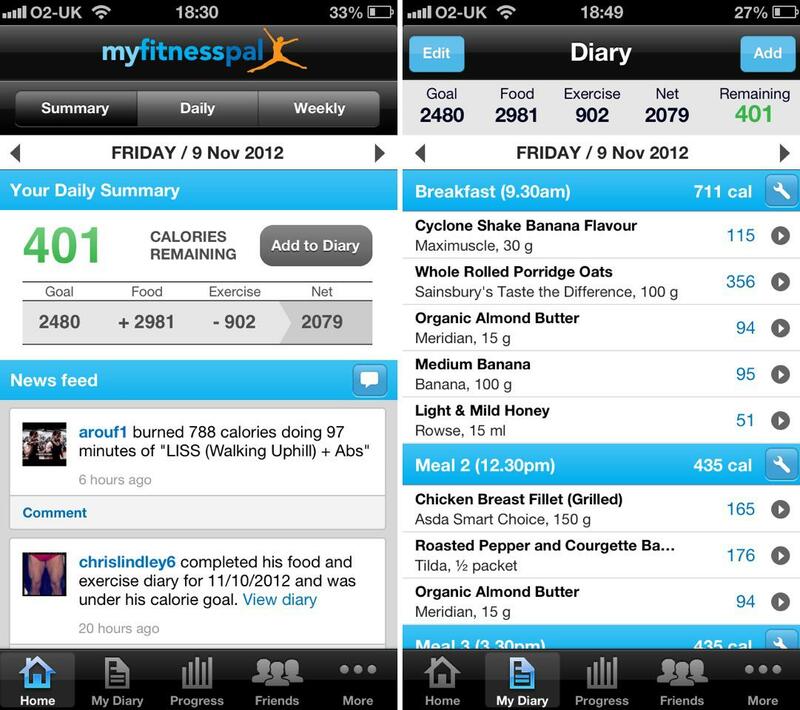 You can record and track your calorie that you’ve consumed after eating foods that you’ve eaten. One of the feature which impressed me is its inbuilt barcode scanner, Which you can know the calorie of the food with its barcode. isn’t that cool. I say it is the best app for maintaing your fitness upto the mark. Another great name in the android fitness app industry. Moves android app is like your personal diary, it will track almost all the work that you’ve done in the day at the day end. This pedometer app help you in better way to analyse your walking, cycling, running, and other physical activities even it is capable of differentiating them. I recommend it as best workout app for android. Willing to buy new android phone? Check out these best android phone under 10000. Check out some of these best android launcher. 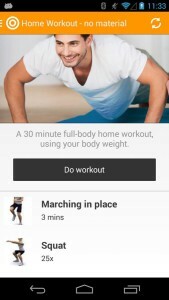 VirtuaGym is one of best workout app for android which you must install in your android mobile. This app has hundreds of exercises pre-loaded into it which includes everything into details like diagrams to show correct posture and steps of exercises. If you loves to try different exercises, then this is best fitness android app for you. 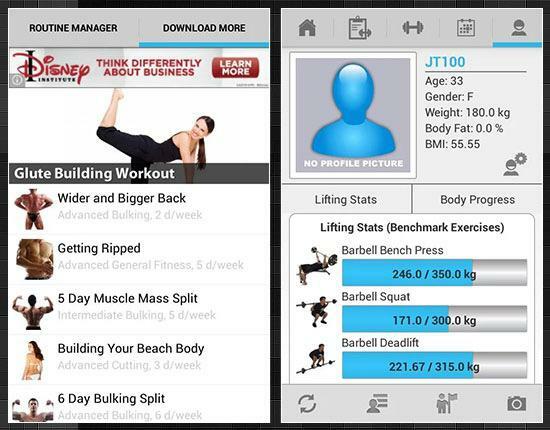 Jefit Workout tracker is one of best fitness app for android which is exclusively made for guys who likes to bodybuilding. Moreover, this app provide exercise of other major parts of body to increase stamina as well. Some of features of Jefit workout tracker are exercise log, exercise instruments, timer, progress tracker, create your own custom fitness plans etc. Android phones are beast products if it is used in a better way. If you are willing to be fit with full stamina in front of your colleague or friends better you try these android fitness apps to make it easier. Without these best fitness app for android, it will be more difficult to make your body fit. I recommend these Best android workout and fitness tracker apps to get your body and mind under your control! 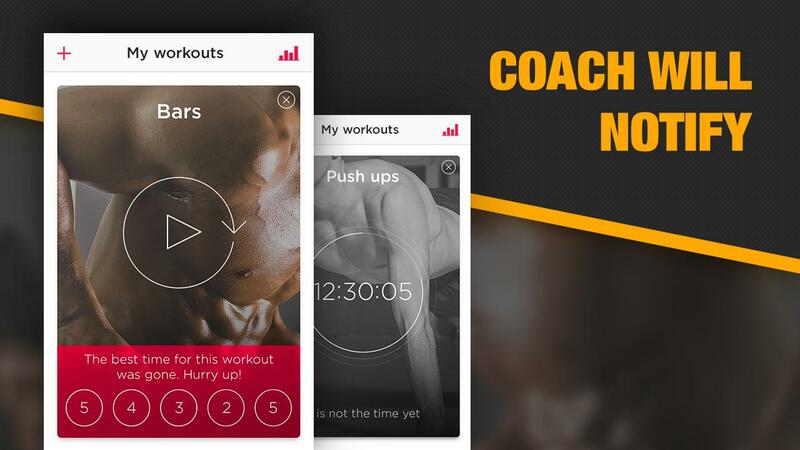 Bookmark this page to get more updates on best workout apps 2016.